Renowned Indian classical dancer and member of Rajya Sabha Dr Sonal Mansingh presented a dance performance at Durbar Hall of Raj Bhavan in Guwahati on Monday. 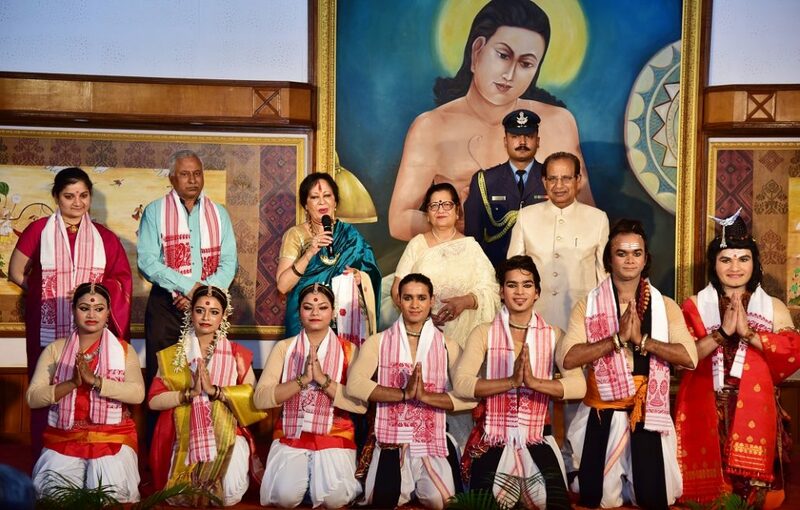 The nominated member to the Rajya Sabha, she presented and performed her dance on the theme ‘Sankalp Se Sidhi’ a dance drama conceived, choreographed and directed by the dancer herself. The dance performance on the theme was performed to generate an awareness on the avowed agenda of the government that everybody should contribute in his or her own way to the task of nation building. 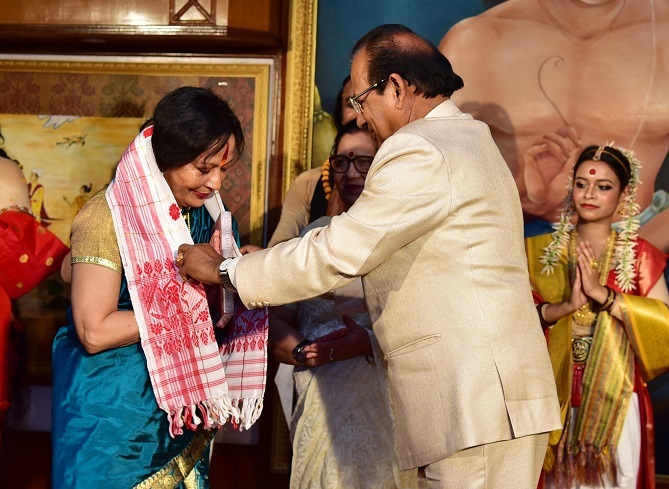 Lauding the performance of Dr Sonal Mansingh, Assam Governor Prof Jagdish Mukhi said that it is a noble gesture to address the various issues through her performance. Moreover, through performing arts one can create more awareness and motivate people for noble endeavour. Selected episodes from Indian mythology were also performed. The event was proposed by Sangeet Natak Academy.